– 0000466: [skin editor] Please show: What is the current “Font Resource” for a given text item? (stevenhanna6) – resolved. – 0000541: [skin editor] edit button on screen events does not work (stevenhanna6) – resolved. – 0000535: [skin editor] setting width or height to zero on element with text will cause crash (stevenhanna6) – resolved. – 0000537: [skin editor] drop down list for screen names on xlobby->goto screen command (stevenhanna6) – resolved. – 0000540: [setup] ability to give a folder path a “name” under databases, used in new category variable %current>libraryview% (stevenhanna6) – resolved. – 0000469: [skin editor] ALT+F4 does not exit when in skin editor (stevenhanna6) – resolved. – 0000521: [skin editor] IR events changing commands upon saving (stevenhanna6) – resolved. – 0000536: [skin editor] assigning an ir command to a button works, but will be set to default command if button is selected again (stevenhanna6) – resolved. – 0000539: [generic] m4a audio tags are not read, embedded m4a cover art also not being used (stevenhanna6) – resolved. – 0000543: [generic] speed tweak for category rendering time (stevenhanna6) – resolved. – 0000431: [skin editor] when you change the font on a category it does not update the category to show changes (stevenhanna6) – resolved. – 0000542: [skin editor] speed tweak when clicking items for selection (stevenhanna6) – resolved. – 0000544: [setup] must click restart in setup to change skins now (stevenhanna6) – resolved. 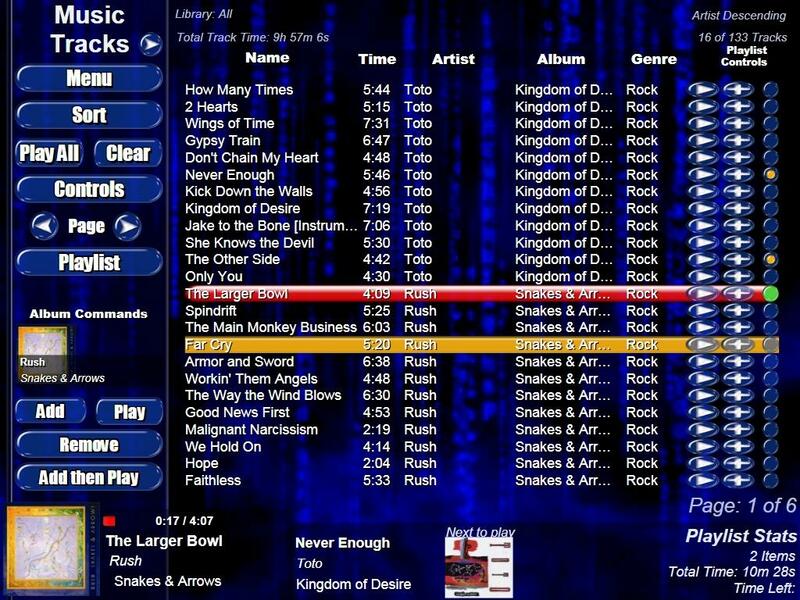 One of the cool things this release has is the ability to import M4a iTunes files into xLobby and extract the cover artwork. If you look at the database folder for music under options there are now templates for importing music like importing “music one directory” or music which will allow you to read a complete folder of songs mixed with M4a, Mp3 files from different artists, etc. and xLobby will re-assemble the data so it looks like a standard folder structure import in Music generic but if you look at the structure in Tracks it looks like an iTunes library format. 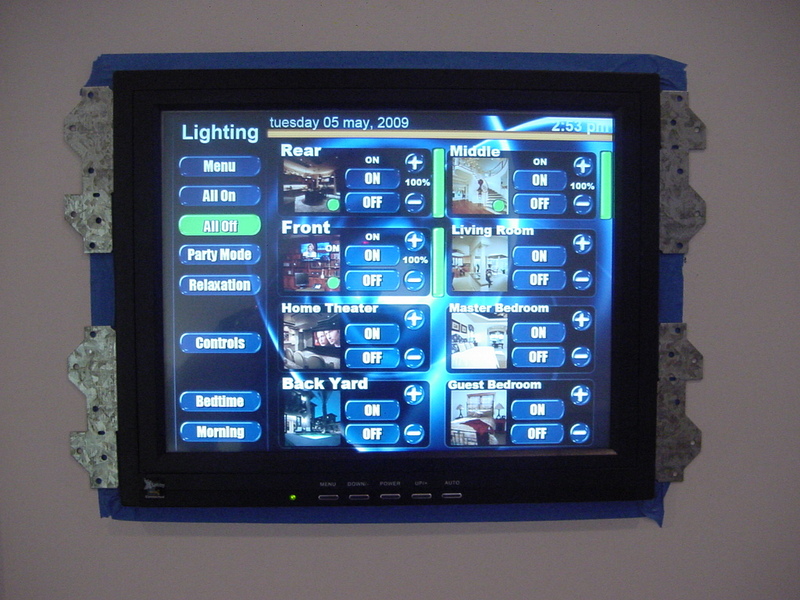 Shipping in June, xLobbys new black 15 inch touchscreen for inwall or desktop use, provides sharp easy to view xLobby imagery for home automation control and content management. Accepts VGA, Composite video input signals, RCA and 3.5mm jacks for L+R stereo audio. Builtin 3 watt stereo audio amplifier. 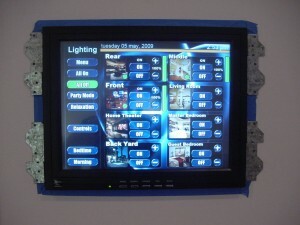 Includes 12Vdc power supply, IR remote, interface cables, driver disc. – 0000530: [setup] individual folders for databases can now be assigned a “library” name for easier sorting (stevenhanna6) – resolved. 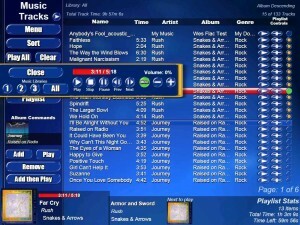 – 0000447: [content playback] when opening a screen with a playlist, goto page with playing item (stevenhanna6) – resolved. – 0000532: [generic] “music”, “play playlist named” is broken (stevenhanna6) – resolved. – 0000512: [generic] execute sound would play if enter pressed in webbrowser (stevenhanna6) – resolved. – 0000514: [skin editor] boolean logic did not parse percentage values correctly for comparison (stevenhanna6) – resolved. – 0000516: [generic] new command “music” “playlist goto playing page” (stevenhanna6) – resolved. – 0000518: [skin editor] localizing an event does not update the event editor to the new localized event (stevenhanna6) – resolved. – 0000520: [skin editor] event manager, alphabetize event list (stevenhanna6) – resolved. – 0000527: [generic] new category ability called “flat” similar to “details”, used on new “tracks” layout (stevenhanna6) – resolved. – 0000529: [setup] individual folders for databases can now have their own import template (new options button) (stevenhanna6) – resolved. 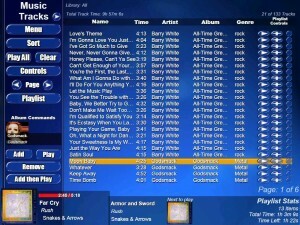 – 0000531: [generic] 3 generic libraries are available in music area, “1”,”2″,”3″, “All”, folders must be given a library name (stevenhanna6) – resolved. – 0000511: [skin editor] opacity setting not updated for hardcoded values (stevenhanna6) – resolved. – 0000513: [generic] web browser upgraded to latest wpf control, can now load swf links that would not load before (stevenhanna6) – resolved. – 0000515: [skin editor] boolean logic, dropping new conditon on a previous condition does not change it (stevenhanna6) – resolved. – 0000517: [skin editor] “category”, “add then play all”, add tracks to a playlist then playlist the 1st track that was added (stevenhanna6) – resolved. – 0000519: [skin editor] copy and paste would select the original button and not the new one (stevenhanna6) – resolved. – 0000526: [services] xcontroller, will try to reconnect 3 times in case com port is unavailable for whatever reason (stevenhanna6) – resolved. 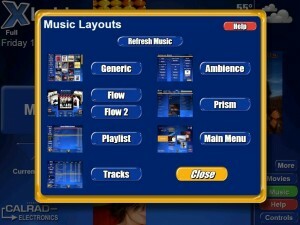 – 0000528: [generic] music layout added “Music Tracks” similar to an itunes/wmp layout (stevenhanna6) – resolved. This new release of xLoby brings us closer to managing multiple music libraries based on different folder locations and import templates. 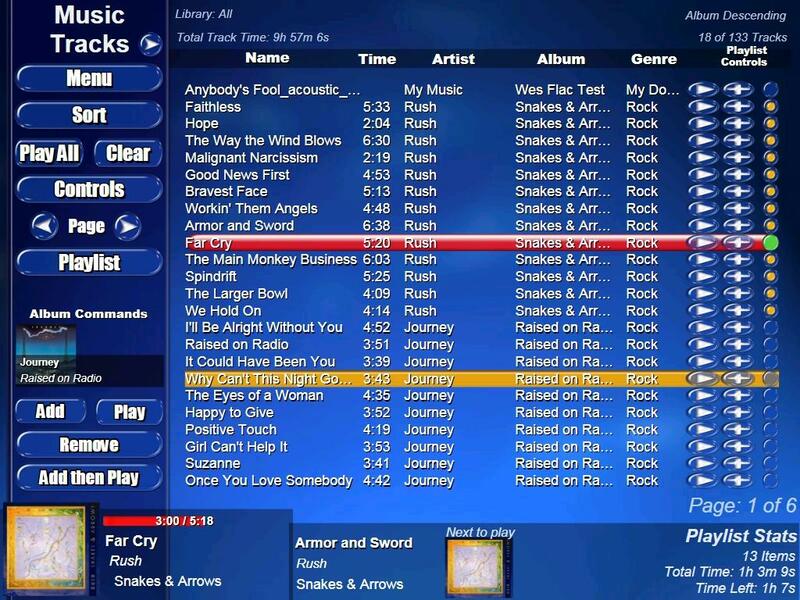 The new Tracks menu can separate iTunes style track list and folder based music libraries from the standard xLobby folder (Artist, Albums) structure. This new set of features allows you to separate or mix both types of libraries together. This allows users to now map directly to the iTunes download folder and read content by songlist or folder format structures. 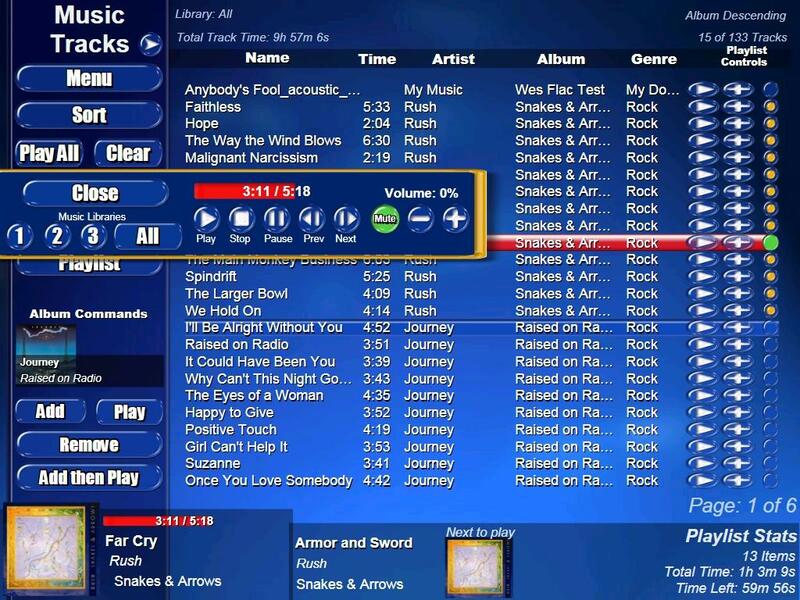 By also having 3 different music libraries you can separate family members music allowing each user to have there own content. 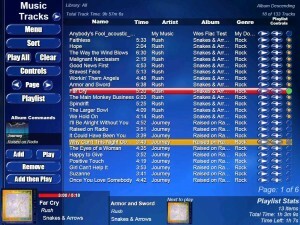 Other items in the works include Apple Ipod integration, have xLobby read single or multiple IPODs docked and connected directly to xLobby and use them as temporary content drives that xLobby can import from to separate music libraries or be mixed with other IPOD, xLobby music libraries. 2. 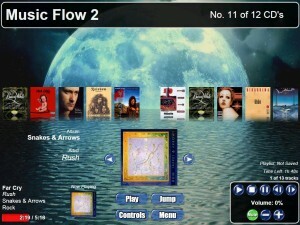 The Clear button clears the currently select items for the playlist as well as the current content that is playing. 3. The Sort button opens the overlay menu to select how the content displayed will be sorted. 5. 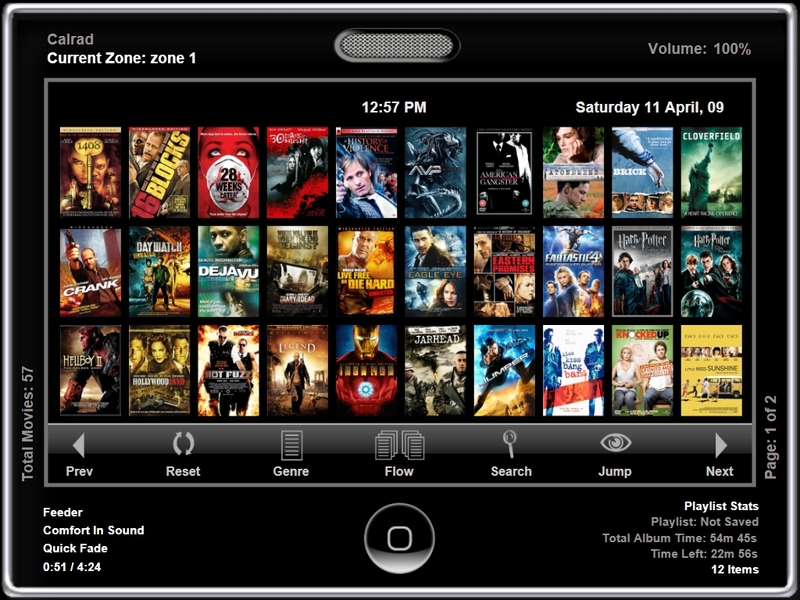 The Controls button opens the standard content playback controls, volume, mute as well as the music libraries selections 1, 2, 3, all. 8. 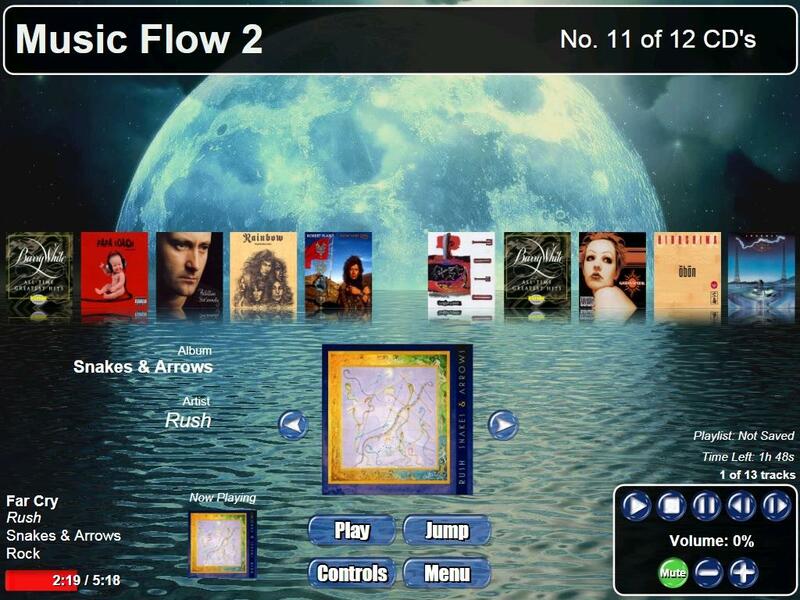 The Add then Play button will add all the tracks for a selected artist in the list and then add them to the playlist, then play all the new tracks in order. This news post is subject to change over the next few days. 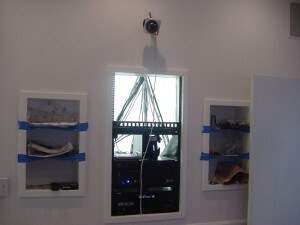 We are now in the home stretch of finishing Calrads new Training & Demo room for Installer training and customer demos of Calrad products and all the xLobby technology. This News Post will be updated on a regular bassis with new Information, Videos and images of the room as we move forward. 1. LG 50″ LCD with articulating arm so the display can move away from the wall or from side to side. 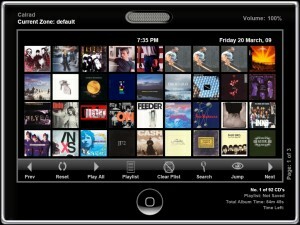 Plans include the ability to increase the display size later. Yes the display looks off center because the display is pulled away from the wall, so when we shot the picture it favors the left side. xLobbys new 15″ inwall touchscreen with annimated background and without the trim plate installed. 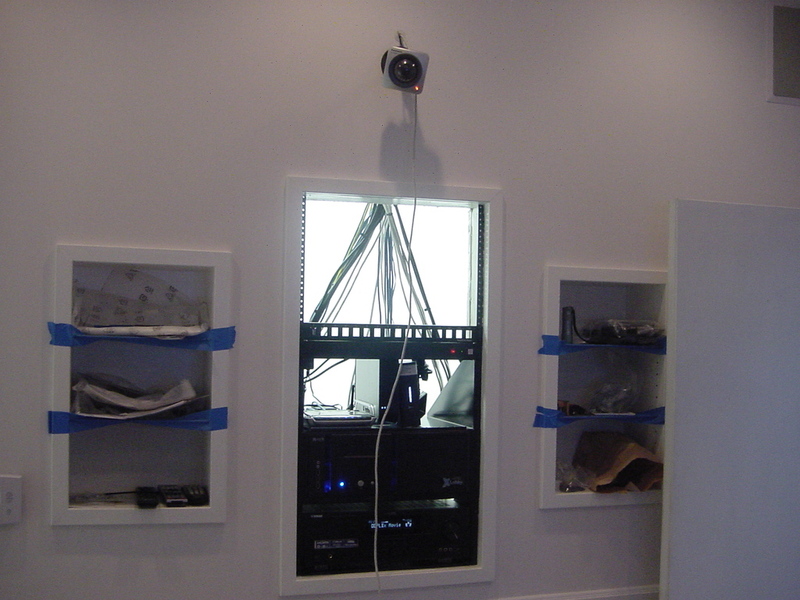 Inwall equipment rack + Panasonic webcam shown above with full pan, tilt, zoom. The glass shelves on each side will use multicolored L.E.D lighting to illuminate them, all of these products are control by xLobby. 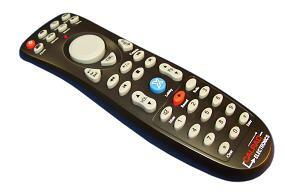 the shelfs will have various remotes, web tablets, automation items. The videos shot are low quality, we will update the videos later to HD, with a proper narration of course. 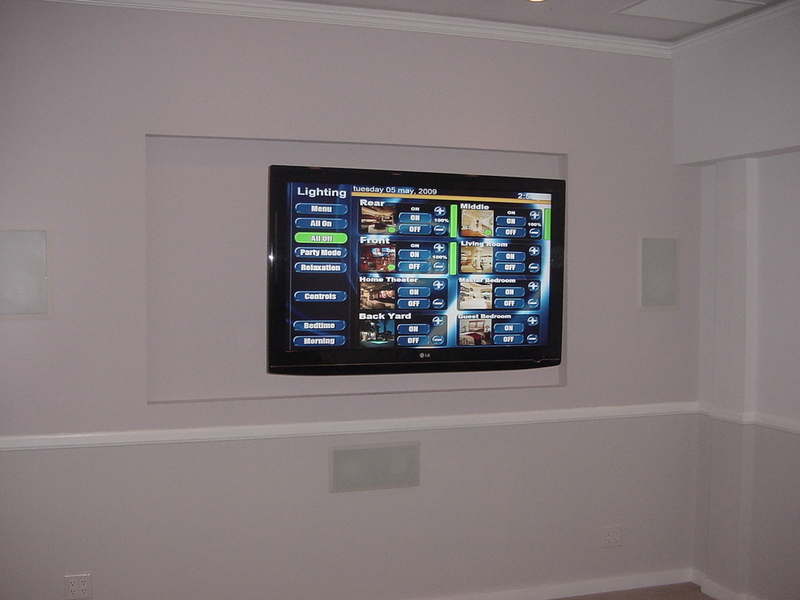 Below are a few videos of xLobbys new 15″ inwall touchscreen controlling Insteon lighting. 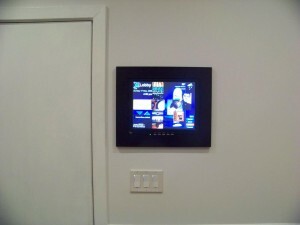 We just put the new 15″ touchscreen in the wall, shown without the trim frame to finish it off, work in progress. 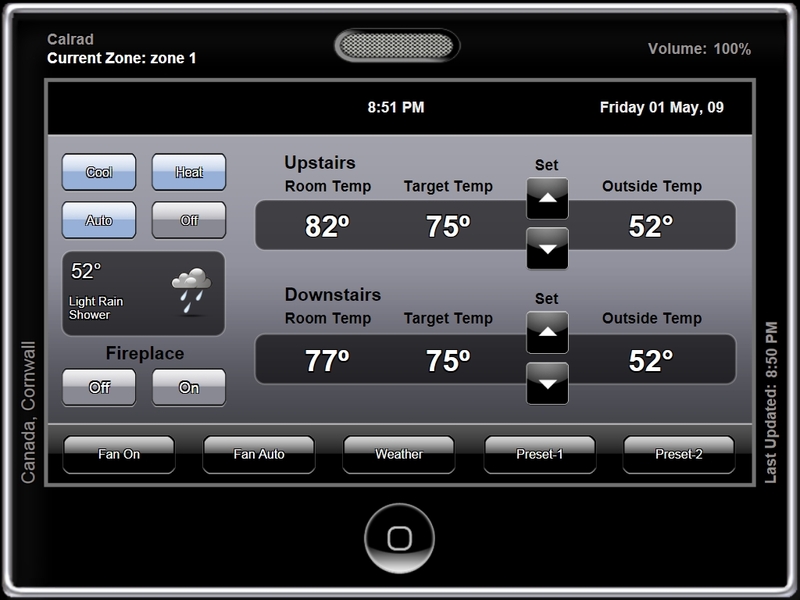 xLobby 2 way communication of 3 insteon lighting zones, with real time updates. The green and red icons are tied to the lighting events as well as text based logic and on\off values with realtime interactive green vertical sliders. 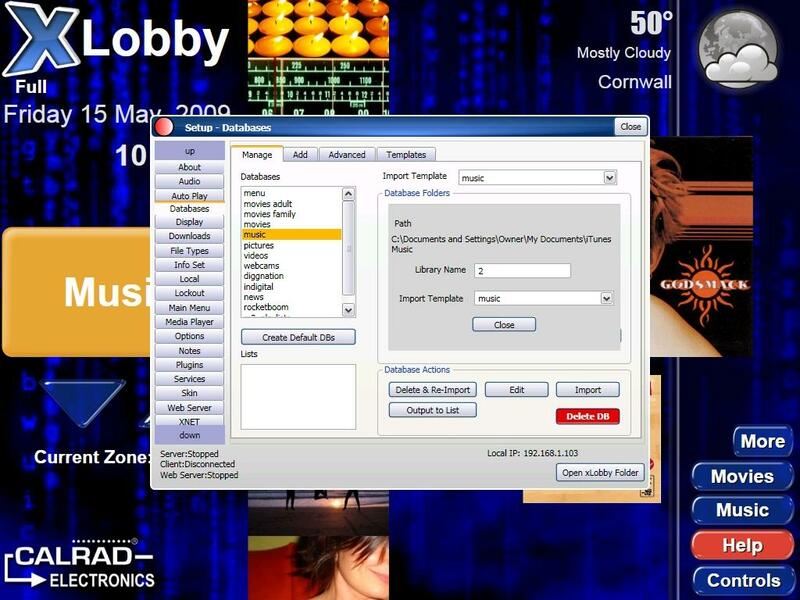 These videos show xLobby lighting attached to some Movie playback events, Play any movie and the lights go to a specified value or completely off, stop the movie or leave the media player and the lights come on to a preset value or 100% on. 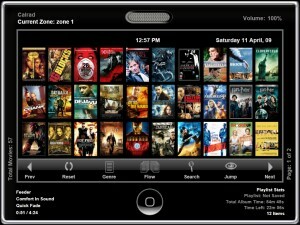 The lighting can be preset to certain genres of Movies or Music that is selected, based on the time of day or user. 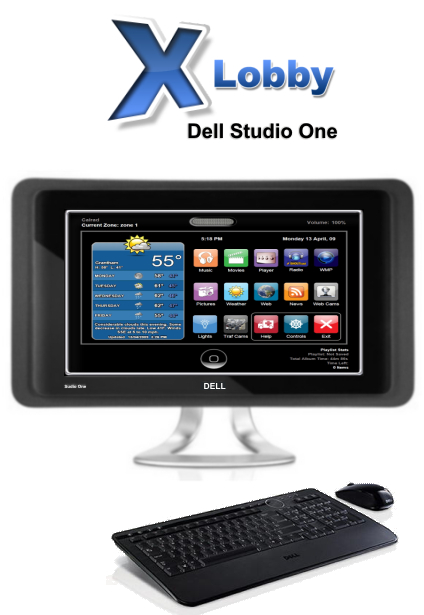 xLobbys new platform for home automation and control using Dells new Studio One 19 All-in-One System with (18.5″ HD Widescreen Display Touchscreen) and IR remote control interface with either hardwired or wireless ethernet connectivity. Integrates with all xLobby systems. 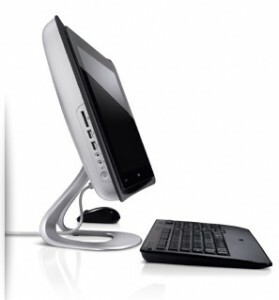 xLobby studio One 19 is an all-in-one desktop computer that fits both the tower and monitor into a stunning, space-saving design. The result is a simple, one-cable setup with substantially fewer wires or go completely wireless with its built-in wi-fi. 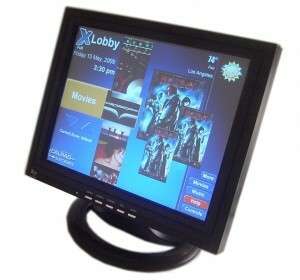 The xLobby Studio One 19 will fit seamlessly in your office, kitchen, family room, home theater or just about anywhere. 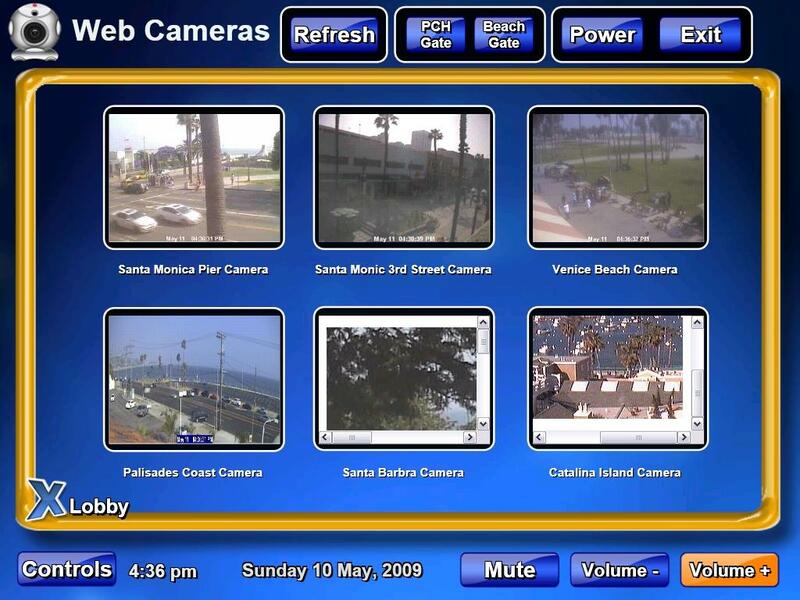 Maintain independent toucscreen control with xLobbys optional external graphics card for external video and audio to your favorite projector or large screen plasma-LCD display, so control your environment while video is playing on the second video output. Reach out and explore the xLobbys Studio One 19’s 18.5″ display with optional multi-touch screen functionality on a choice of 4 color fabric trim options or Solid Pure White trim border. Five Colors to choose from to match any decor. This page is subject to updates and revisions. – 0000495: [skin editor] category jump to details, instant update, display previous level, mouse scroll could not be unchecked once checked (stevenhanna6) – resolved. – 0000498: [skin editor] when opening skin editor, jump to overlay screen if overlays are open (stevenhanna6) – resolved. – 0000501: [plugin] russound xml file output fix (stevenhanna6) – resolved. – 0000504: [skin editor] instant update, jump to detail self ticking fixed (stevenhanna6) – resolved. – 0000470: [skin editor] Please add a “move” button to “Elements” (stevenhanna6) – resolved. – 0000483: [generic] Options-Thumbnail Cache (stevenhanna6) – resolved. – 0000487: [setup] autofind server set to false by default now (stevenhanna6) – resolved. – 0000490: [setup] local ip address setting that doesnt exist should be set to a real local ip (stevenhanna6) – resolved. – 0000492: [triggers] when editing an ir trigger, the selected ir device is not scrolled into view (stevenhanna6) – resolved. – 0000494: [generic] new bookmark popup should have been show overlay new layer (stevenhanna6) – resolved. – 0000497: [generic] details category is not set initially until a user selects a 2nd item (stevenhanna6) – resolved. – 0000503: [services] russound now supports “auto” port setting (stevenhanna6) – resolved. – 0000502: [services] service connection xlobby freeze fix (stevenhanna6) – resolved. – 0000505: [setup] f2 delete thumbnails worked incorrectly (stevenhanna6) – resolved. – 0000477: [client/server] a couple bugs that would cause crashing on database refresh (rare case) (stevenhanna6) – resolved. – 0000507: [plugin] ir multiple usbuirt support, new paramerter Zone (Optional, uirt-port) (stevenhanna6) – resolved. – 0000486: [skin editor] when renaming trigger or event should highlight entire text by default (stevenhanna6) – resolved. – 0000488: [skin editor] drag and drop events into an logic command can cause duplicated if using nested logic (stevenhanna6) – resolved. – 0000491: [triggers] adding a new trigger does not prompt for name, or highlight it (stevenhanna6) – resolved. – 0000493: [skin editor] shouldn’t be able to set an ir command ID if it’s already used by another ir command (stevenhanna6) – resolved. 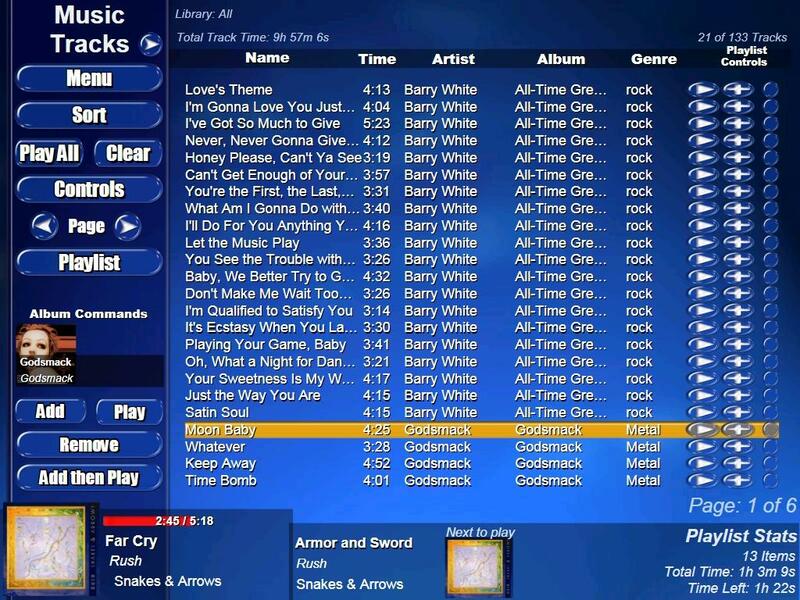 – 0000391: [generic] multi cat playlists still broken. (stevenhanna6) – resolved. – 0000506: [setup] f2 local ip wouldn’t show auto is select on restart (stevenhanna6) – resolved. – 0000508: [generic] playlist time remaining was off by the length of the last track (stevenhanna6) – resolved. – 0000393: [skin editor] themes not updating (stevenhanna6) – resolved. You are currently browsing the xlobby news blog archives for May, 2009.